Note for Operation: This bulb is for static displays only. Animation will instantly damage this bulb - "pop it". This item cannot be dimmed. See our dimmable C7 bulbs if you are planning to use your bulbs in an animated display. 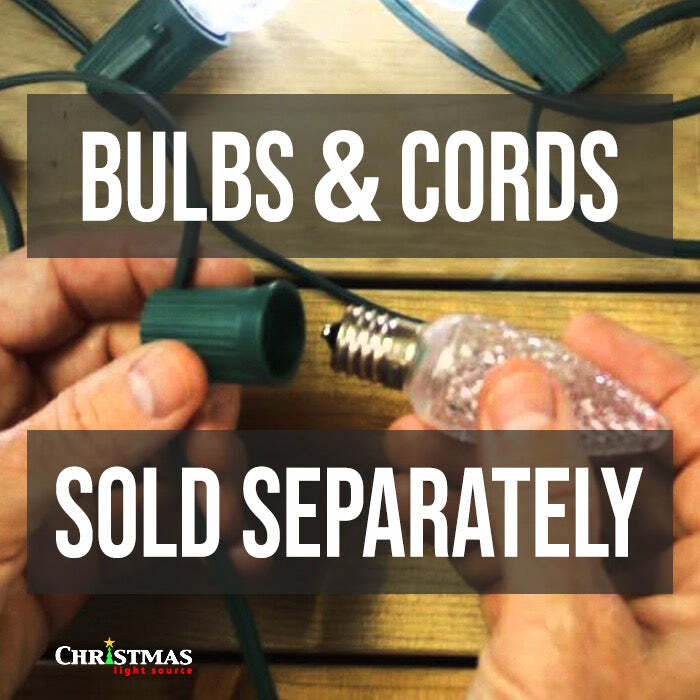 We suggest that you plug all of your LED Christmas lights - both bulbs and strings - into a surge protector whether installed indoors or out. How many Christmas Lights can I plug up together? How Can I Customize my Christmas Lights?